Michigan Radio's Stateside Program Features Barb Barton and Roger LaBine discussing Barb's new book...click here. Manoomin: The Story of Wild Rice in Michigan by Barbara J. Barton (MSU Press) is now available at bookstores everywhere! This is the first book of its kind to bring forward the rich tradition of wild rice in Michigan and its importance to the Anishinaabek people who live there. It focuses on the history, culture, biology, economics, and spirituality surrounding this sacred plant. The story travels through time from the days before European colonization and winds its way forward in and out of the logging and industrialization eras. It weaves between the worlds of the Anishinaabek and the colonizers, contrasting their different perspectives and divergent relationships with Manoomin. "Barton brings us the untold story of one of Michigan's iconic natural resources - its cultural and historical importance, it mistreatment and demise, and the seeds of hope for its future recovery. She writes with deep reverence and careful scholarship, in a warm style that makes me want to paddle the backwaters of Michigan's rivers and lakes, searching for lost stands of this amazing grass." --Samuel Thayer, author of The Forager's Harvest, Natures Garden, and Incredible Wild Edibles. 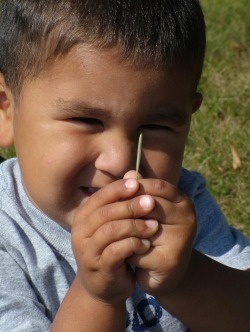 This site is dedicated to providing information on Native Wild Rice, or Manoomin, in the Great Lakes region. Wild rice (Manoomin) is a cereal grain that is harvested and enjoyed throughout the Upper Great Lakes Region by people of varied cultural backgrounds. It has been a central component of the culture of the Anishinaabe people in the region for thousands of years and continues to be of great importance to many tribal communities. Its importance is noted by the fact that the Menominee tribe was named for this plant. Wild rice is also a key element of Great Lakes coastal and interior wetlands that provides food, cover, and spawning habitat for a variety of wildlife species. Unfortunately, wild rice populations have declined throughout much of the plant’s historic range, due in large part to human impacts. Given the strong cross-cultural importance of this grain, sustaining regional populations of wild rice requires a commitment to multicultural approaches that recognize, respect, and weave together ways of knowing that are influenced by both traditional knowledge and western science. Scientific Names: Zizania aquatica, Z. palustris, Z. palustris var. interior, Z. texana (found only in Texas). Habitat: Rivers, streams, lakes and ponds. Wild rice prefers shallow water with mucky or muddy bottom where there is a slight current. This web site is based upon work supported by the National Institute of Food and Agriculture, U.S. Department of Agriculture, under Agreement No. 2008-03528.